First there was a robotic seal named PARO assisting people with dementia, then a robot named Zora came to Brightwater Care Group’s facility in Madeley. Now there are a couple of robots, affectionately known as Chairman Nao and Nero, at Mark Moran Vaucluse, Sydney. Meet the NAO robots, Australia’s latest robots to be working in aged care. Utilising built-in sensors, cameras and some careful programming, these little robots can walk, talk, dance and recognise faces. They appear to take on human characteristics as they wink, shrug and hold out a welcoming hand. Standing at just 58 cm high, Chairman Nao and Nero lead exercise classes, assist with rehabilitation, play games – and even help residents leave their rooms. 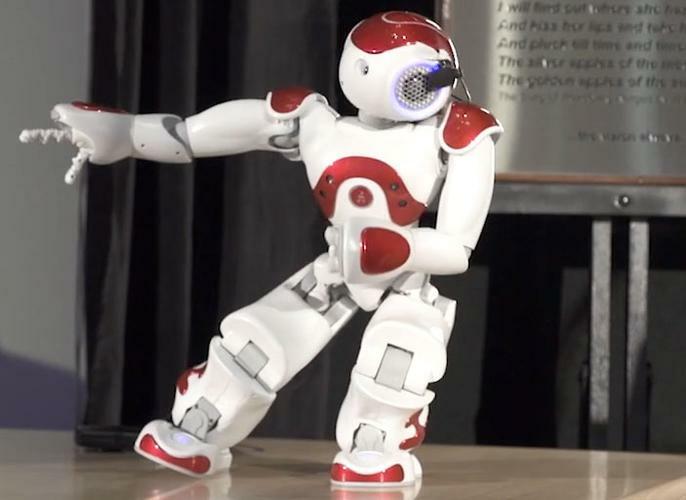 As well as having fun, the NAO Robots assist in a range of activities, including Tai Chi, ball playing (an exercise where the robot kicks a ball to a resident, who rolls it back to the robot), and a range of rehabilitative activities, both physical and mental. “It’s a perfect way to turn an exercise class or even just a social discussion group into something truly spectacular,” says Mr Kirby. Jo Caughtry, Director of Operations, at Mark Moran Group feels the engagement isn’t ‘better’ than human interaction, but it’s different and new. “We want to engage our residents as much as possible, using the latest innovations, and the fact that these guys are robots is a characteristic that changes the way our residents engage with them and understand on the whole,” she says. As well as assisting in aged care, the NAO robots are been used to assist in education, particularly helping users on the autism spectrum and they have also been trialled in receptionist duties in offices.